For todays Barking Wednesday topic I want to share with you a company that offers high quality dog products. In fact this is Kinger's and my go to place for items for him. 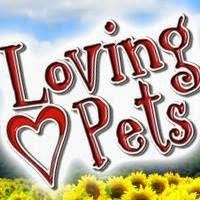 Loving Pets has it all! So when Loving Pets asked me if I would be interested in reviewing a few items for them - I jumped at it! Knowing they carry the best products I knew whatever I received for King would be high quality and something he could use. King was sent the cutest bowls and mat! I received three Milano Collection™ Designer Dog Bowls. The bowls are so easy to clean - the inside stainless bowl comes out for easy cleaning. The Milano Collection™ of designer dog bowls come in great designs that have removable, skid-free rubber base resists slips and spills. Made from tough BPA-free ABS plastic and available in three sizes and different designs. I am using Kinger's bowls and mat at the RV - King eats on the deck and his bowls slide across the deck. The mat is perfect to keep the bowls in one place. This is great no more chasing the bowls around while King eats. Bella Spill-Proof Dog Mat is fantastic! Bone-shaped Bella® Spill-Proof Dog Mats prevents splashes and retains spills. Bella Spill-Proof Dog Mats have raised edges for maximum spill capacity, a slip-resistant, bone-embossed surface, and anti-skid feet to prevent slips, slides, noise and floor damage. 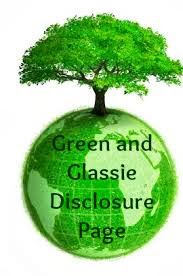 Non-toxic, BPA-free and quality tested. For both indoor and outdoor use. Cleans easily – just rinse with water. I have to say the Bella Spill Proof Dog Mat is amazing. It is hard to believe all these years that I have never purchased a Bella mat. Another great thing about Loving Pets is that so many stores carry Loving Pets products. On Loving Pets website they have a STORE NEAR YOU TAB. I purchase Kinger's favorite Loving Pets items at Tractor Supply in my town. You name it and they have it. As a pet owner I want quality products at reasonable cost. I want the best for King within my price range. That is one reason I like Loving Pets products. Kinger's favorite treat is Barksters. They are all natural and Kingers loves them. Makes me happy when he likes eating treats that are healthy and good for him! 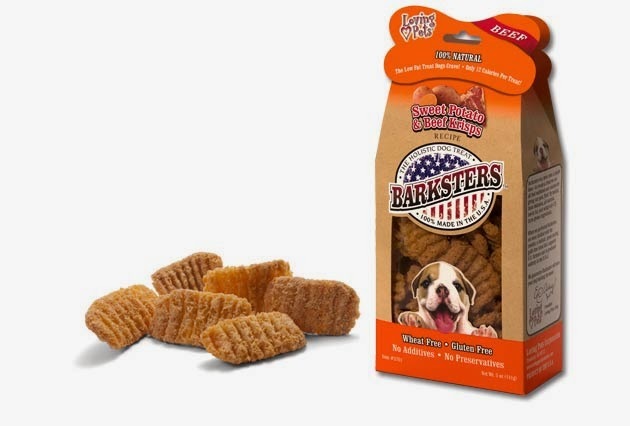 I wanted to let you know about Barksters - I did not receive a bag for review but King always has a bag at home. Those bowls are so cool! I love the zebra stripe one! Those bowls are awesome. Love the mat. very handy. I need this information as we have promised to buy a dog for our son at the end of the Summer. Actually it is right after our vacation when school starts. I need the best products, so must bookmark this! 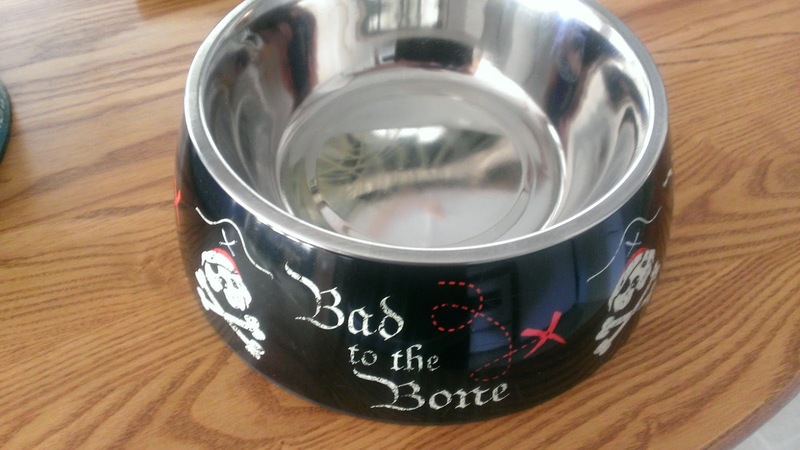 I don't have any pets currently, but my fave is the bad to the bone bowl. So cute! I bet my brother would love one for his dog. I agree, that is a super cute bowl!! I love those bowls i use to get fed up with ours chasing theirs all over the place.That mat is super cool. Those dog bowls are seriously cute. Way to make a pet feel loved. Those are absolutely adorable! I am loving them! Those bowls are adorable! My pups could use a cuter bowl, theirs are really plain. Those are adorable bowls, I need to do an upgrade for our dog Sadie!! Bad to the bone! How cute are these?! We have two dogs so I'm always on the look out for goodies. Those bowls are awesome! I love the Bad to the Bone bowl! Although it would be for my kitty- and he is bad-LOL! Love the bowls! But the mat is what I really need with our German Shepherd. He makes a huge mess when he drinks. I absolutely love the Bad To The Bone dish. Also love the one with Diva on it. It would be great for my cousin's dog Muffin. How nice that they don't go sliding across the floor! That sure helps to contain messes. These are cute dog bowls. I love the design. I need to get a new bowl for the cats. Those are cute dishes. That mat would be SO handy! We've been keeping my mom's dog part-time the past week and she's so much messier than my cat. 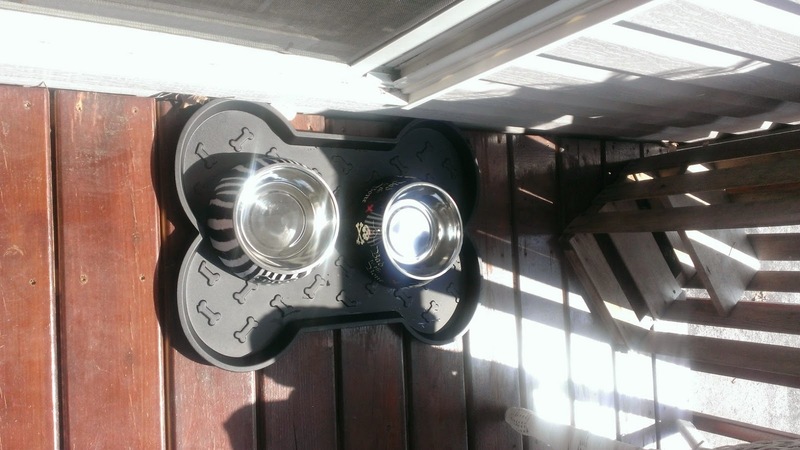 Those are some good looking dog food and water bowls. I'll have to let my sister know about them. I love the prints on those bowls! My sister would love those for her dogs! Those bowls are so cute! They would be good for my neph-pup. I love the bowls. The bad to the bone one is my favorite! I have a dog mat like that... but it is meant for boots. It's so easy to clean up and it keeps all the mess off the floor! Those bowls are super cute! Those bowls are so cute! I love the zebra one the best. What cute bowls! I never heard of this company before, but they look like they have great products! I never thought about getting cute dishes for my pets before reading this. These bowls are adorable. We love pets, though we don't have any at home. It is definitely easier to manage when you have the right tools! My mom has a dog. I will have to tell her about this. Thanks! 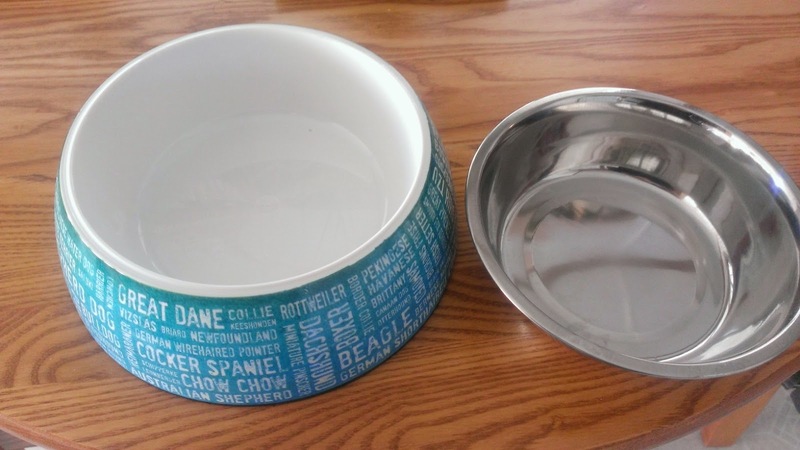 Those are the bowls we use for our dog and cats! Love them! Love the designs on those bowls. Are dogs are so large they would need double the size. We have a Great Dane and a Boxer. Kingers is a 100 pound Black Lab - these are the large bowls. Perfect size for his portion of food. I do use two of them for water. Oh wow, they look much smaller in those photos. We also use a larger container for water and have a backup for when we aren't home. That mat is a GREAT idea...wish I would have though of it! Those are some great looking bowls. I love the colors and designs. These things are cool. I have three dogs so thanks for the info. Bad to the Bone! Ha! I love those bowls- my hounds have boring basic bowls. They are the cutest pet bowls! 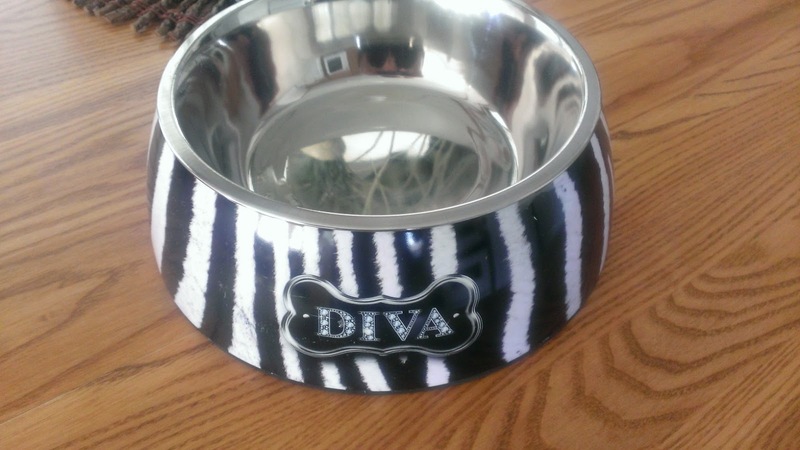 SIL recently adopted Daisy, a 12 year old hound and I think that Diva bowl is perfect for her. These doggy bowls are just too cute! I need to invest in a matching set, mine are all just random bowls! 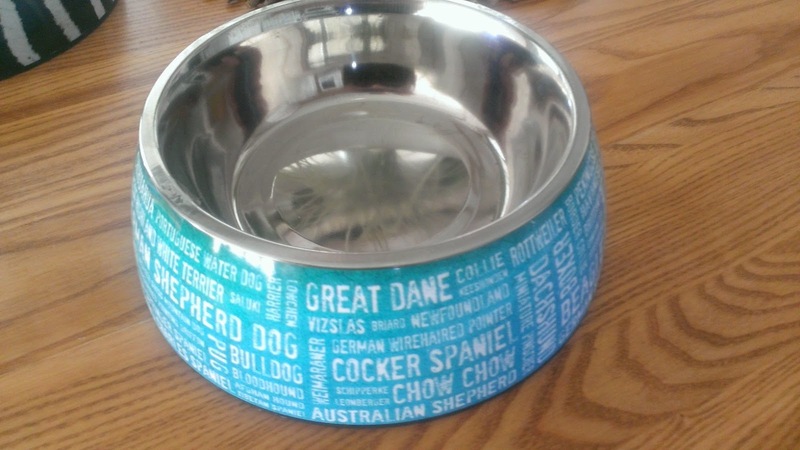 What adorable dog bowls! Very unique and fits each dog's personality! We do not have any pets but I love those bowls, they are so cute! Cute bowls! We just welcomed a new puppy to the family, and I can already see the need for a mat like the one you have pictured. Just got a dog, so this comes in handy! I love how cute pet bowls can be. I need one of those mats for my dog's bowls. Thanks for sharing! I want some for my cat! those bowls are really nice but i am more interest in that mat love it! I love those bowls. Very cool and a fun look that is difference from everything else out there. Cute little bowls! The Diva would be perfect for my Bella! Aw, this makes me miss our old pup. I think it might be time for a newbie soon! Love those dog bowls. I must have the Bad to the Bone One! That spill proof mat is adorable and genius! I'll have to show my mom! I don't have a pet, but I love how fun these are! That mat is great! Oh my gosh, I so need some of these cool pet products. My pup needs new food bowls and a pet bed. I am going to be checking these out! I love that there has been so much thought put into what we use for our pets. We have been using stainless steel bowls for our dog for a while. I really like the zebra striped one here! I just love those bowls! I am for sure going to go check them out! Thank you for sharing! I love these bowls! My bother just rescued a dog. This would be a wonderful gift for him- thanks for the tip.